Fans of iOS have been rewarded for our patience through another week with four high-quality games on today’s Fresh Apps list. Up first is a new, multiplayer-enabled entry into Capcom’s Street Fighter franchise, Street Fighter IV Volt. Following that is another sequel, Puzzle Agent 2, the follow-up to Telltale Games’ award-winning first game. Mooniacs, a physics puzzler about collecting bugs by flinging an alien-type character through the air, is our third offering, and finally, there’s Ballistik Wars, a free castle defense and strategy title. Try to make sure you work a little today rather than just play games. When it comes to iPhone games, Street Fighter IV is in something of a class of its own. The phenomenal little game is a version of Capcom’s game of the same name on the Xbox 360 and PlayStation 3, and translates beautifully to the iPhone with great graphics and solid fighting game controls that make it a pretty great time to play. There’s only one issue with that game – you can only play against the computer-controlled opponents, rather than your friends online or locally. Street Fighter IV Volt solves that problem by adding in online multiplayer capabilities to the game, a huge boon in and of itself. Other than that, Volt and the original SFIV are pretty similar, except that Volt also packs a handful of new classic characters, including Balrog and series-favorite Vega. Snag Volt today and you can have it for $0.99 – every day you wait, Capcom adds a buck to the price until it hits its $6.99 premium price tag. Telltale Games’ first Puzzle Agent title is pretty highly regarded and won some awards for being chock full of great, challenging brain teasers wrapped around its story. Puzzle Agent 2 basically picks up the threads of the last game more or less where they left off – the story is a direct sequel to Telltale’s last point-and-click adventure, and the title returns with more quality puzzles to challenge players. You might want to pick up the first Puzzle Agent before you dive into this one, though. While the puzzles are great, the game definitely expects players to be familiar with the story; knowing what’s going on will make Puzzle Agent 2 much more enjoyable. 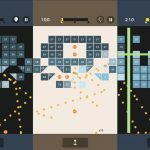 Physics puzzler Mooniacs isn’t too great a departure from the kinds of 99-cent games that are popular in the App Store, but that doesn’t make it any less fun. 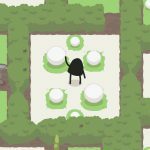 The game is all about geometry: you control a round alien-type guy who you have to bounce around the screen in order to get him to collect bugs called JuJuBees. These bugs are positioned around the screen in a particular pattern, and the challenge is to figure out where to place your Mooniac and in which direction to shoot him (kind of like the slingshot in Angry Birds) in order for him to bounce around and collect all the bees. 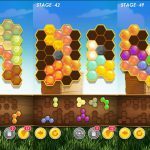 Mooniacs adds another layer to its puzzles beyond just collecting a set number of bees to be successful by scoring the whole thing. You can earn points by grabbing bees, and in each puzzle there’s at least one big bee. Grab that one first, and all the bees you catch afterward give away double points. So not only do you have to figure out how to get all the bees, you need to figure how to collect them all in a specific order across 90 levels. 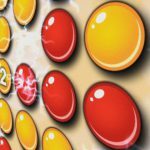 Like other castle defense games, Ballistik Wars is about speed and strategy. You defend one side of the screen, where your “tower” is located, and you have to fight forces from the other side and try to destroy their tower before they destroy yours. In order to call soldiers to your side, you’ll spend energy, which your tower charges automatically using a numerical counter. When it hits a certain number, you can spend that energy on summoning one kind of soldier or another to fight on your behalf. Ballistik Wars is all tactics, because while your energy recharges automatically, the speed at which you get resources back is a big factor. Should you spend your money on a cheap melee-fighter, or go for the rock-throwing tank vehicle for a little extra? You can also spend energy on upgrading your energy supply so that it fills faster and to a higher level – allowing you access to better units more quickly. There are a lot of considerations to make, and between each battle you can upgrade your forces with money you earn from winning. The game is very easy to play but still hard to master.